the Toyota iQ city car at the New York Auto Show, the youth-oriented Toyota division quietly let slip a batch of photos of its latest challenger for the Formula Drift championship. But if these photos are any indication, it’ll be the last time this insanely modified Scion tC will be doing anything quietly. Although the drift car you see here looks like a tC, underneath it’s anything but… heck, it doesn’t even use the tC’s floorplan, it’s so heavily modified. As previewed last week on video, this latest Scion drifter, prepared by drag racing and drift veteran Stephan Papadakis of Advanced Engine Management (AEM), packs a V8 courtesy of Toyota’s NASCAR racing program, pumping 650 horsepower and 450 lb-ft of torque through a four-speed shifter to the rear wheels. 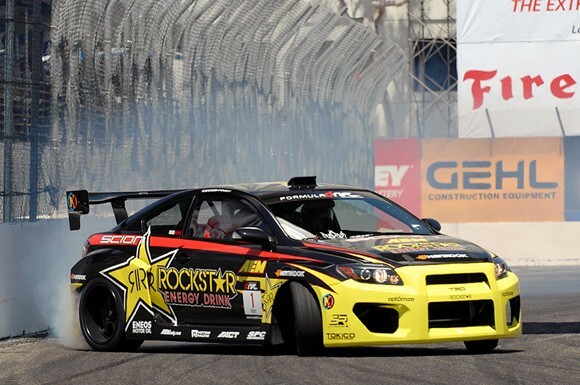 Of course, there’s only one driftsmith who could handle this much machine, and that’s Tanner Foust. 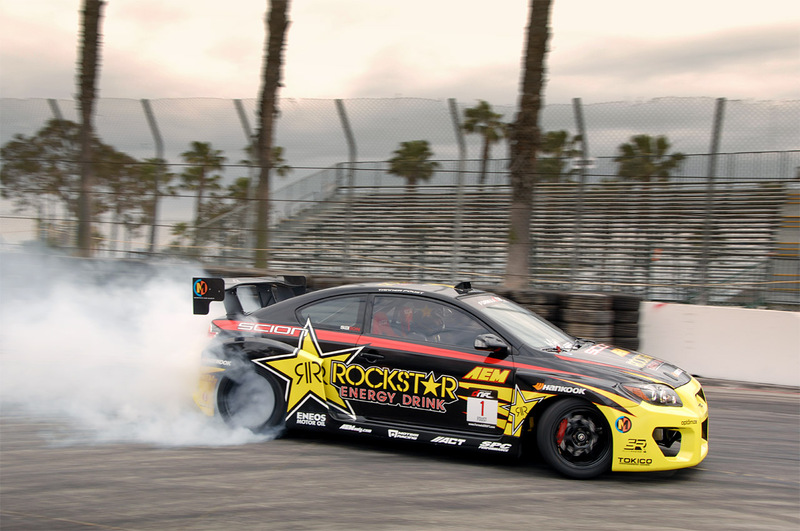 The two-time defending Formula D champion – who has some extra time on his lightning-quick hands sinceTop Gear USA got canceled – ditches the Nissan Z he’s been fielding the last few years in favor of this modified Scion, and takes his sponsor Rockstar Energy Drink along with him. 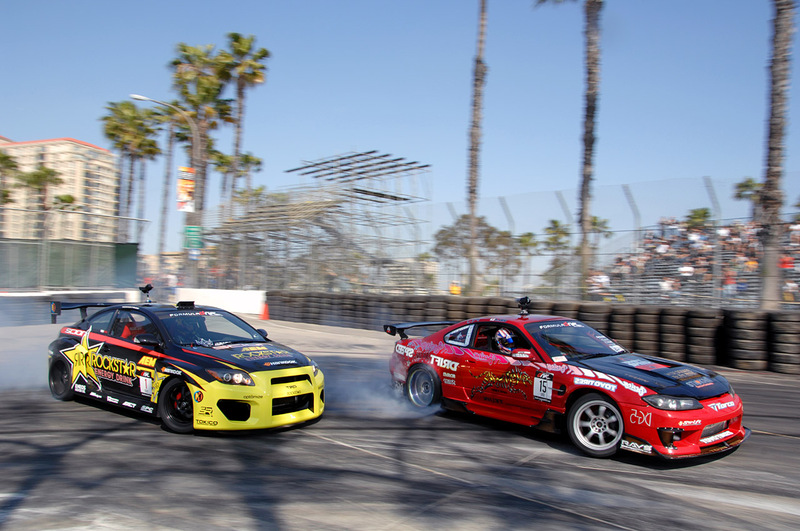 The car debuted this weekend at the Formula D season opener in Long Beach, California, where Foust finished third and our man Drew Phillips was on hand to catch it in his lens. Check out the images in the pair of hi-res gallery below. ~ by Rud3Boy89 on April 14, 2009.